The little Alien lost in the galaxy is hunting to reach his spacecraft before they depart. 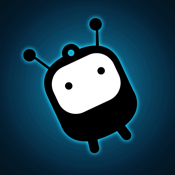 Get the little Alien to board the space craft by teleporting through different worlds. There are lot of obstacles in the reaching the destination from where you start. Moving Blades, Dark ghosts, Spikes and rotating blocks add to Aliens challenge of reaching the destination. We designed 24 levels will keep you engaged in the free fall adventure. Get the Alien feel now..!